The application of different bearings in the transmission chain system of large-scale wind turbines, including double-row spherical roller bearings, toroidal roller bearings, cylindrical roller bearings, double row tapered roller bearings, etc., is analyzed and compared, and the main shaft bearing schemes are configured by different bearing combinations, and the advantages and disadvantages of different schemes are compared. Considering the complexity of the wind turbine and the flexibility of the unit, this paper introduces the advanced analysis techniques of the bearings, such as flexible ferrule, bolt effect, roller edge stress and flange load, and the application of these techniques can accurately analyze the load distribution of the raceway, and then ensure the reliability of the main shaft bearing design of the large-scale wind turbine. As an important part of the main drive chain of the wind turbine, the reliability of the spindle bearing not only affects its own maintenance cost, but also determines the reliability of the transmission chain. The bearing is the weak part of the wind turbine is one of the main fault points of the wind turbine [1-3]. Because of the flexibility of the wind turbine structure and the complication of the working condition, the design of the spindle bearing has become the key technology of the whole machine design, this article will discuss the application of wind turbine bearing technology in the large-scale wind power generating set from two aspects. This scheme is also called self-aligning bearing configuration scheme, using two double-row spherical roller, one end fixed, a floating end, the bearing has a certain degree of adjustment ability, can adapt to the system deformation and the error caused by assembly misalignment. At the same time the bearing has a certain cost advantage, at present in the 2MW and 2MW of the following groups have been widely used. However, because this scheme is limited by the floating space limitation and the load ratio of axial and radial forces, in practical application, when the thermal deformation of the bearing is too large and the axial force is too large, the load in the bearing raceway will increase, which leads to the load deterioration and premature bearing failure. 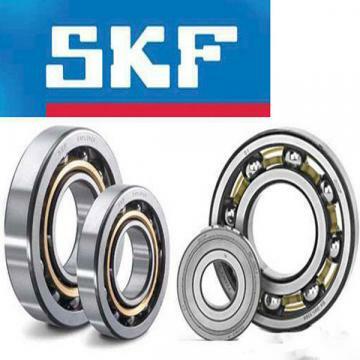 In response to the problem of scenario one, SKF first proposed the configuration of scenario two, changing the two-row spherical roller bearing at the floating end of the scheme to the toroidal roller bearing, which has the ability to automatically adjust the heart as the spherical roller bearing, while compensating the axial deformation caused by the thermal expansion of the bearing as well as the cylindrical bearing. The maximum axial displacement can reach 10% of the bearing width. But the cost of such bearings is higher. Similarly, for scenario one, Schaeffler proposed asymmetric double-row spherical roller bearings, the two-row contact angle of the bearing, which has a relatively large contact angle under the axial load, the design of the bearing can be tailored to the specific load of the wind power, thereby improving the load ratio limit of the axial and radial forces, Increased axial bearing capacity of bearings. However, such a customized design will increase the bearing design, manufacturing costs. This scheme differs from the above three schemes, due to the preload of double row tapered roller bearings, thus making the whole system rigid, reducing the axial and radial system deformation, the preload of the bearing can improve the load distribution inside the bearing, prevent rolling body slipping, reduce the risk of rolling body indentation caused by vibration, especially for direct-drive fan, It can reduce the change of generator air gap and improve the reliability of the system. However, this scheme has high requirements for the manufacturing, processing and assembling of the machine. This scheme uses the cross-positioning, because the use of two single row tapered roller bearings equivalent to reduce a bearing, so there is a certain advantage in cost, this bearing arrangement can be controlled, can be adjusted according to the size of the load, but the design, manufacture, processing, assembly requirements are high. This bearing is specifically designed for a large megawatt-class wind drive system, which eliminates the spindle and greatly reduces the length of the drive chain, while bearing can withstand a large bending moment load, thereby reducing the transmission chain of the radial gears, through the above-mentioned realization of the ultra-compact design of the transmission chain. At present, this bearing scheme is the mainstream configuration scheme of large MW fan. In traditional fan spindle bearing arrangements, the supplier usually uses ISO281 and iso/t16281 for bearing life calculations, while the peripheral results are treated rigidly. The precondition of this analytic algorithm is that the system should have enough rigidity, obviously with the fan becoming larger and bigger, the whole structure of the unit becomes more and more flexible. 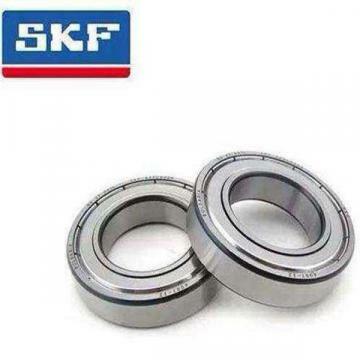 Therefore, the bearing's peripheral result has an increasing influence on the bearing life. Traditional bearing analysis technology has not satisfied the bearing design, application requirements, the current advanced analysis technology is usually a full-coupling integration analysis process, the analytical solution combines the analytic method of high efficiency and the accuracy of the finite element. In the process of analysis, we should not only consider the influence of the wind condition complexity and the system deformation on the life, but also consider the influence of Bolt connection on the raceway deformation. Key points of spindle bearing technology design include the design of bearing structure and the modification of roller raceway. In order to obtain reasonable structure design and modification scheme, the input of load should be processed accurately. Currently on the market, the general wind power spindle bearing analysis software has Romax, SMT, supplier analysis software bearing-x (the company), REBA (Rothe Erde) can consider the system deformation, and then get the real load transfer. The flexibility of the ring is the precondition of considering the deformation of the system, the flexible ring can be a real response to the load distribution in the raceway, the ellipse deformation and distortion of the ring change the load distribution in the raceway, and then affect the service life of the bearing. Therefore, the flexible ferrule technology plays a key role in the design of the fan's large bearing, and provides the basis for the reliability design of the fan. Under the action of ultimate load, the bearing will be subjected to an edge load. When the edge is heavily loaded, the bearing also fails, so an effective edge stress analysis technique can better predict the edge stress and provide the basis for designing and evaluating the roller shape. Improve the reliability of the bearings more effectively. In the previous analysis of the spindle bearing of wind turbines, it is difficult to assess the bearing flange load, because the theoretical design analysis of the flange only to withstand the smaller load, for the wind spindle bearings, this part of the load will be based on the deformation of the system deterioration, so the development of edge contact analysis model technology can effectively assess the bearing flange load situation , can adopt different flange shape design to improve the load distribution, at the same time reasonable design flange height, thickness to enhance the strength of the flange. Spindle bearing configuration should be based on the overall structure design, operating conditions, operating environment, cost control and other aspects of selection. Each bearing arrangement should be evaluated comprehensively, taking fully into account the design, manufacture, installation and operation of the bearings. Especially in the prophase design, it is necessary to consider the influence of the flexibility of the system on the life of the spindle bearing.